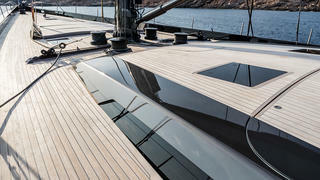 Finnish sailing yacht specialist Baltic Yachts has delivered its latest sailing superyacht, the Baltic 130 Custom, which has been named My Song. 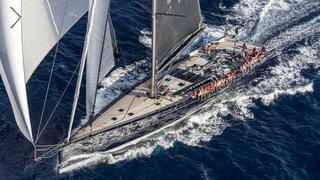 The 39.62 metre yacht features Nauta Design exteriors with hull lines by Reichel-Pugh naval architects. 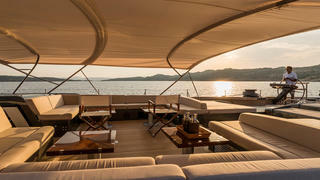 The interior includes five cabins that were also styled by Nauta Design and the project was managed by Nigel Ingram of MCM. Built from a carbon-fibre sandwich construction, this single-masted yacht features a plumb bow and a wide stern, as specified by the new owner, who is a keen regatta sailor. The layout comprises a full-beam master suite forward, two en-suite guest cabins, a studio that can be converted into an additional guest cabin when needed, three crew cabins, cockpit, saloon and galley. 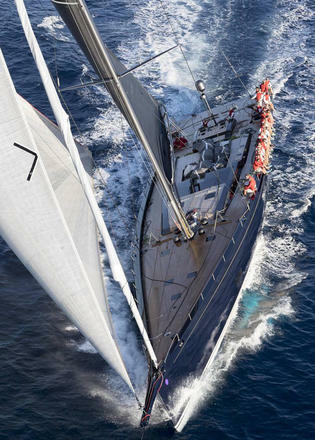 Baltic Yachts add that My Song was designed to have an average cruising speed of 16.5 knots and a maximum speed of 30 knots when set up for regatta racing. The Southern Spars all-carbon rig allows My Song to set a pin head mainsail for cruising or a square-top for racing, with the switch-out between the two North Sails set-ups taking just three hours to effect. Auxiliary power comes from a single Caterpillar 8.7 diesel engine, which drives a retractable propeller that can be turned through 90 degrees to drive the yacht away from its berth. What's more, My Song's lifting keel allows the draft to be reduced from seven metres to 4.8 metres. Other sailing yacht projects currently under development at the Finnish yard include the 53.9 metre Baltic 175, which will be called Pink Gin VI when it is launched in 2017.